A.J. is a recent graduate of the Geography and Environmental Studies programs at the University of Wisconsin-Madison with a passion for writing and interests in areas ranging from ecology to geosophy to geopolitics. He enjoys the geography of Wisconsin, be it the north woods or city life in Madison. He loves to read research papers in geography, books by scholars like Yi-Fu Tuan and Bill Cronon (both at UW-Madison), as well as classic fiction writers like Thomas Pynchon and Fyodor Dostoevsky. He is very much inspired by the work of all the people he encountered in Madison’s geography department, so expect a wide range of topics when reading his articles here. The blossoming field of urban technologies will shape how the future looks, as spaces around the world become increasingly urbanized. 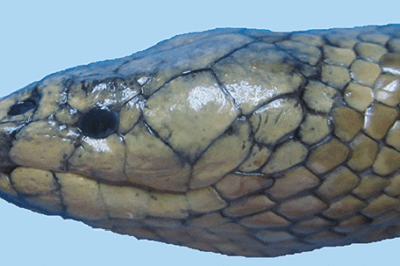 Lateral view of the head of Günther snake (Microcephalophis cantoris). Source: Rezaie-Atagholipour et al., 2016). In their field work, the Iranian and French researchers encountered a Günther’s sea snake in the Persian Gulf, beyond what was thought to be its geographical range. An 80 foot coal seam at the North Antelope Rochelle opencut coal mine. Photo: Peabody Energy, 2014. The World Bank invests through its International Finance Corporation (IFC), which is currently funding at least 41 coal projects and 50 other environmentally harmful projects across the world. 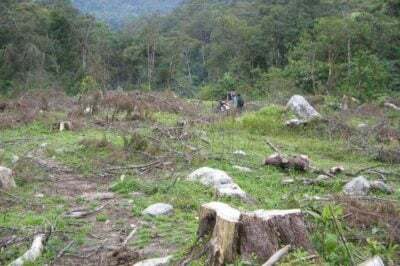 Deforestation near the Medellín River and Caldas, Antioquia, Colombia. Photo: medea_material, January 2008. By properly including indigenous and impoverished peoples in the new economy and securing communal land rights in the forests, as well as fostering soil recovery in areas of coca cultivation and managing resource extraction, Colombia can move into a more equitable and environmentally sustainable future. 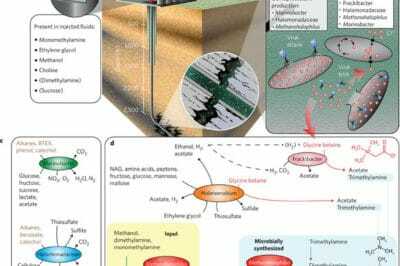 The introduction of fracking fluids very drastically changes the underground microbial ecosystems which become dominated by bacteria that thrive in highly saline environments including those of a new genus named Frackibacter. Figure from Daly et al. (2016). The introduction of fracking fluids very drastically changes the underground microbial ecosystems which become dominated by bacteria that thrive in highly saline environments including those of a new genus named Frackibacter. 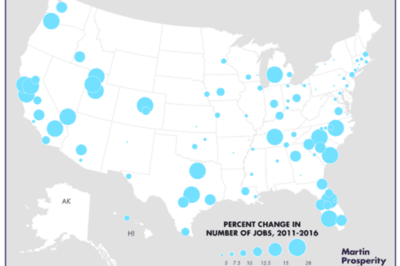 This analysis by CityLab shows that although jobs are being created, they are spatially clustered in certain areas and many of the newly created jobs pay low wages. 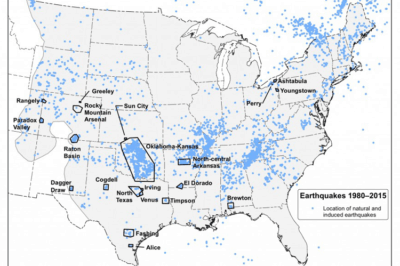 According to EPA scientists in North Texas, earthquakes there are likely related to fracking and drilling. Although it is not a new discovery that this link is possible ­ or even likely, an acknowledgement from the EPA is significant. At the Sacred Stone Spirit Camp and elsewhere on the path of the pipeline, activists have worked for months to impede construction, defending their rights to the land and protecting their water sources. Following an oil spill on July 20th, oil companies in Alberta are expected to face tougher opposition and struggle to gain support from the public, other Canadian provinces, and the various parties involved in the creation of new pipelines. Recently the news organization Truthout and the Center for Biological Diversity have used the Freedom of Information Act to release documents related to the federal government’s views on offshore fracking for natural gas and oil. 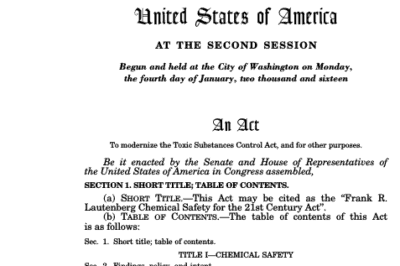 Forty years after it was first passed in 1976, the Toxic Substances Control Act has been amended to better protect Americans from toxic chemicals in products. 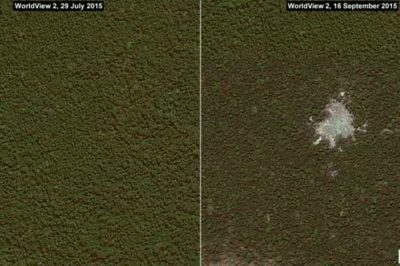 Birth of a new illegal gold mining zone in in the buffer zone of the Tambopata National Reserve (Madre de Dios region, Peru) between July and September 2015. Source: Finer M, Olexy T (2015) High Resolution View: Birth of a New Illegal Mining Zone. MAAP #17. In South America mercury is used to collect the gold after it has been mined, and it has polluted the environment and poisoned the workers. On the other side of the Pacific, ocean floor mining is seen by investors as a golden opportunity, but critics disagree.